We all know that unless you pick your greens and place them almost directly into your salad bowl, they will have lost a bit of their natural crispy texture. In fact, I can walk outside in the middle of a hot day to harvest greens and end up with a wilted salad. 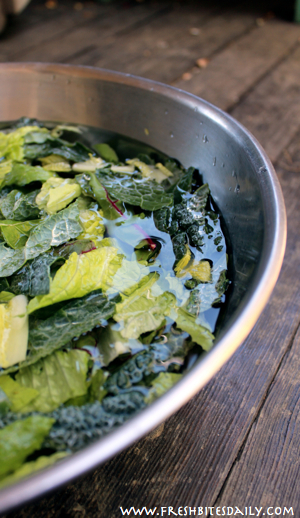 Get the crisp back in your greens: Soak them in cold water before using them.